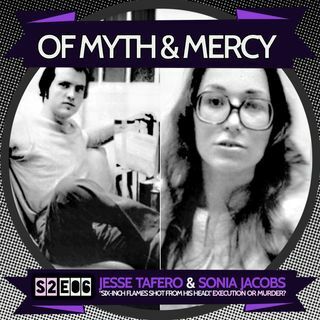 Jesse Tafero & Sonia Jacobs: "Six Inch Flames Shot from his Head." Execution or Murder? Two dead. 3 arrested. Wrongful convictions, perpetual perjury, repeatedly recanted testimony, a botched execution, jailhouse snitches, framed suspects, corrupt legal teams, and worse. 2 law enforcement officers are dead and 3 people are pointing fingers elsewhere. This is the story of Sonia 'Sunny' Jacobs and Jesse Tafero. This is the story of how Florida murdered a man they shouldn't have. I agree. I think his trial was unfair. I'm very sorry for your loss. I can't imagine the pain. and thank you for the clarification. I hope he gets justice. I believe that jesse did not get a fair trial. Jesse tafero was not legally married to Sonia Jacobs. Jesse and Sonia Jacobs were not together long enough to be considered a common law couple. Jesse tafero was like family to me. I am a 55 year old lady. I met jesse tafero in the death row visiting area at the Florida prison where he was executed. I met jesse in 1981. Jesse tafero was my boyfriend and jesse was like family to me.